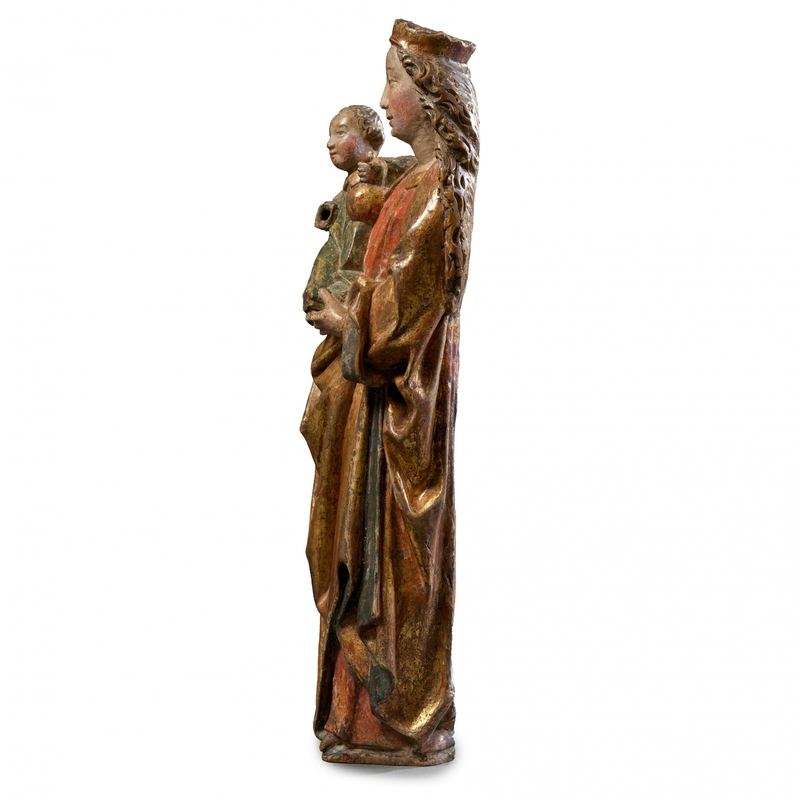 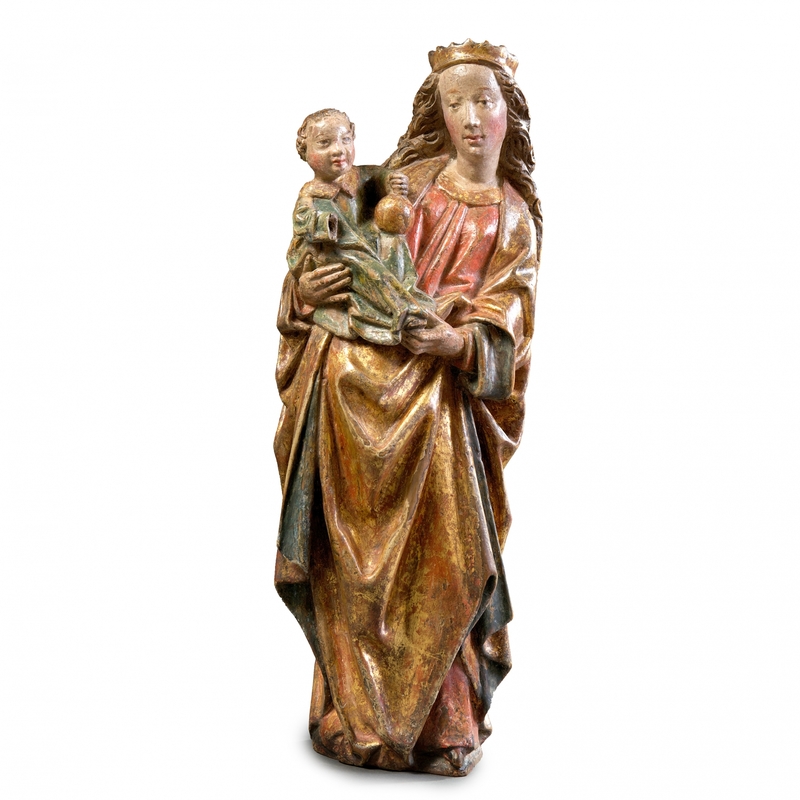 This sculpture depicts the crowned Madonna with Christ. 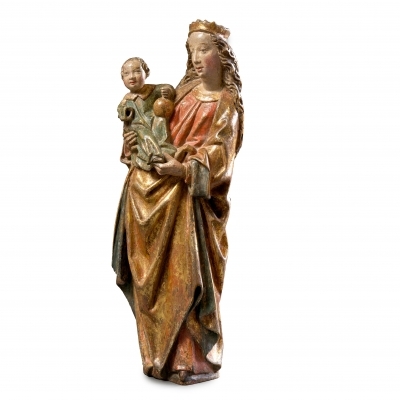 Christ is holding the globe in his left hand, symbolising his future role as saviour. 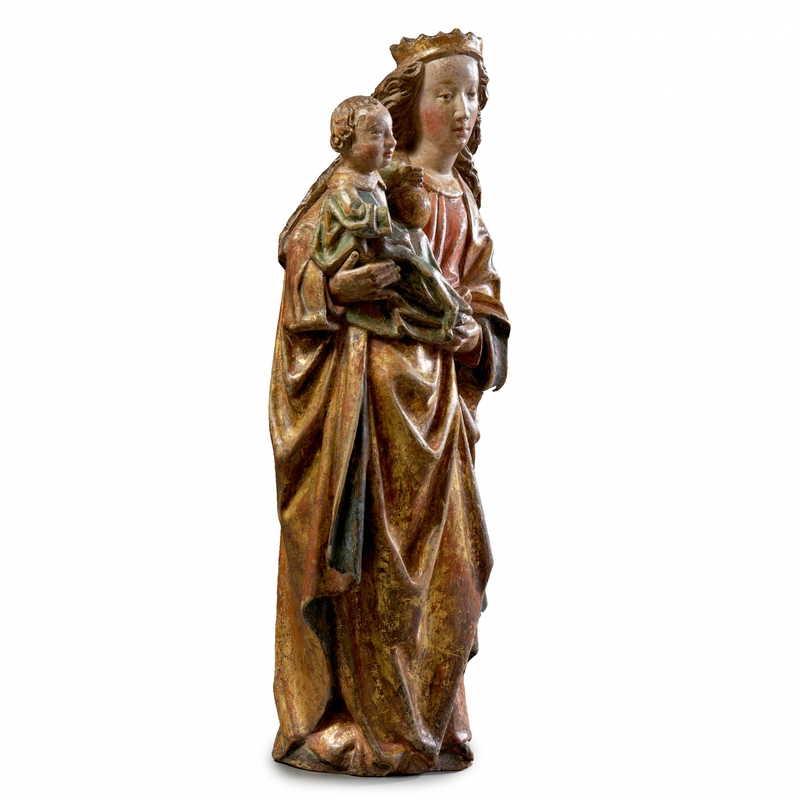 Madonna's body is curved in a slight S-shape, characteristic for the early age of manufacture.